Plastic drinking cup with smart colour combination and 450 ml large capacity. 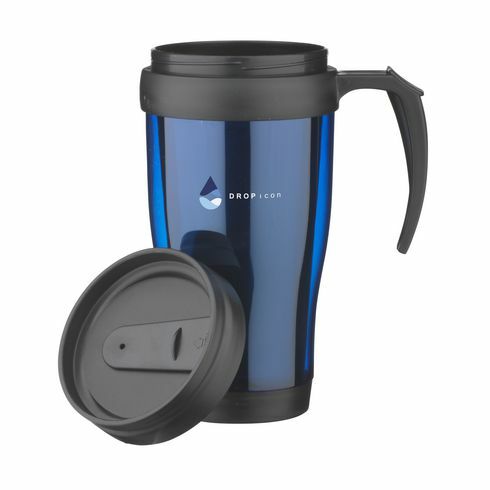 The tapered design allows this cup to fit in just about any cup holder and is double walled so that warm and cold drinks alike can be kept at the right temperature. The unscrewable cover has an integrated slide/click opening. With solid handle. Meas. 17.5 cm x Ø 8 cm. Per piece in box, 235 g.